First of all I would like to thank the Embassy of the Republic of Kazakhstan to the Republic of Belarus for the arrangement of this Conference, and for the granted opportunity to address the Conference and present preliminary outlines of the oncoming Presidency of Kazakhstan at OSCE, which will start already less than in a month. Availing myself of this opportunity, I would like to thank Belarusian Party and all the participating states for the assistance granted to Kazakhstan within the process of preparation to the OSCE Presidency. We appreciate the constructive and allied approach to the issues, connected with the Presidency of Kazakhstan at OSCE and intend to do our utmost for OSCE to concentrate more on the positions and interests of the state located “east of Warsaw”, for the CIS states to be involved into solution of the current issues of the Organization agenda actively. At the moment we are accomplishing the final stage of preparatory process to the oncoming Presidency at OSCE. We held and still hold bilateral and many-Party consultations at different levels to develop an optimal agenda and we have almost formulated the priorities of our Presidency within all the three dimensions of OSCE activity. Their presentation will take place during the meeting of the first in 2010 Permanent Council of OSCE on the 14th of January. Please let me assure you that the activity of Kazakhstan as a President of the Organization will be based on the principles of active, honest and constructive dialogue with all partners on the ground of trust, respect and mutual understanding. As the President of OSCE Kazakhstan will proceed enhancing the efficiency of the Organization as a mechanism assuring overwhelming security. As the President of OSCE Kazakhstan intends to guarantee equal intensification of all dimensions and to follow the principles of initiation and support the mechanisms of global security, integration between the states, establishment of efficient platforms for dialogue. The priority will be given to the successful functioning of the effective and comprehensive system of European security. In accordance with the decisions adopted during a recently held Ministerial Council Meeting in Athens in 2010 Kazakhstan will have to proceed working over the so-called “Corfu Process” on the further development of the dialogue on the issues of prospect security within extended OSCE area. The most important priority of the Kazakhstan Chairmanship is the accomplishment of the initiative on the arrangement of OSCE Summit in 2010 – the event, called to revive and actualize the activity of the Organization in current conditions. We are sure that the Summit is able to give the urgent impulse to the member-states in order to mark the new directions of cooperation in Euro-Atlantic and Eurasian area of OSCE responsibility, and out of its border as well. 2010 is significant for the Organization, as it is marked by several anniversary dates, which are extremely important within the architecture of security in Europe. These are: 35 years since signing of the Helsinki Final Act, the 65 anniversary of the Second World War end, and 20 anniversary of the Paris Charter for new Europe. These dates give a good ground for a serious analysis of the current role of OSCE in Europe and for considerations about its future within a wide context of security and cooperation. The initiative on the Summit has found an active support among the most of the Organization member-states. Common interests to the Summit in 2010 were expressed by the inclusion of a respective article into the text of Ministerial Declaration on the Corfu process, adopted during the OSCE 17th Ministerial Council Meeting in Athens. We are fully aware of the difficulties, connected with the arrangement of such a great event form the point of view of its content, date and place, arrangements and other logistic modalities. That is why we suggest to all the member-states to define potential subject matter of the Summit. We are open for all ideas and expect active assistance of the member-states in the process of development of the Summit subject matter. Prevention and peaceful settlement of conflicts will remain a core issue also during the year of Kazakhstan Chairmanship. Kazakhstan is realistic about its role within the process of “long-standing” conflicts regulation. The policy of the Republic of Kazakhstan aims at the maintenance of existing formats of negotiation, at the promotion of OSCE role in prevention of conflicts and settlement of post-conflict situations strictly within the frameworks of international law and basic principles of the Organization. Chairing the Organization we are ready do provide all the urgent support to promote negotiations processes within the framework of existing formats, to contribute into constructive dialogue and rapprochement of the views of Parties. Our main task is an extended implementation of preventive diplomacy, directed at the neutralization of a possible aggravation of the situation. In this respect we give a special importance to the prospect activity of the CiO Representative on Longstanding Conflicts, Bolat Nurgaliyev current SCO General Secretary. Special attention during our Presidency we’ll give to the issues of the promotion of OSCE cooperation with other international and regional institutions, such as UNO, the European Union, CSTO, CIS, NATO, S-CICA, SCO. An important step may include the accomplishment of Russian initiative on the Summit of five regional organizations (OSCE, SCTO, EU, NATO and CIS) in 2010 in order to promote the idea of new European security structure establishment. Also we consider the possibility to arrange a special event for the Group of OSCE Asian partners during the Summit of S-CICA in Turkey. Also Kazakhstan can take the functions of the main intermediate within the contacts with the Organization of the Islamic Conference, which Kazakhstan will chair in 2011. We observe as promising the cooperation between OSCE and EurAsEc on the issues of regulation of labor and illegal migration, border and customs policy, transit-transport interaction and energy security. Within a politico-military dimension Kazakhstan supports the idea of the resumption of the CFE and the entry into force of its adapted version. Kazakhstan has expressed the support of Russian two-stage scheme of adapted CFE implementation. Kazakhstan considers necessary a further promotion of Vienna document of 1999 on the ground of Russian suggestions on the modernization of this mechanism. The priorities of Kazakhstan within non-military aspects of security, first of all include counteraction against new challenges and threats (struggle against terrorism and extremism, organized crime, illegal drug traffic, other types of illegal traffic). The attempts of Kazakhstan within this sphere will be aimed at further enhancement of anti-terroristic potential of the Organization. In this respect, the main task of OSCE will include the perfection of respective mechanisms, which will achieve a qualitatively new level of participation within collective attempts of international community in struggle against political terrorism, religious extremisms, organized crime and illegal drugs traffic. Key events will comprise political conferences, aimed at exchange of views and coordination of common positions on problematic issues. The decision on the arrangement of antiterrorist conference in Astana was approved during the Ministerial Council Meeting in Athens. One of serious issues is the contribution of OSCE into post-conflict rehabilitation of Afghanistan. Within this matter we consider as important to support and enhance the attempts of international community, called to assure stability in this country. We’ll concentrate on promotion of the projects, aiming at strengthening of border security, development of border cooperation among Central Asia states and Afghanistan, and also enhancement of law enforcement. One of definite steps of Kazakhstan within this direction was the Treaty on Cooperation within the sphere of Training between Governments of Kazakhstan and Afghanistan which was signed on the 22nd of November in Kabul. This Treaty anticipates the training of about a thousand Afghan students in 2010-2014. The program will cost 50 million US dollars. Kazakhstan is interested in persistent and stable development of Afghanistan, from the territory of which threats to the peace and security of Central Asia regional are spread. We suppose that OSCE can play its positive role in the process of Afghanistan rehabilitation, implementing the accumulated experience and potential within the perimeter of the borders of this state. Kazakhstan thinks that it’s impossible to stabilize the situation in this country only with military actions, a full-scale assistance is urgent to achieve stable economic growth and training of national administrative stuff. We’ll promote this conceptual approach within the development of OSCE strategy towards Afghanistan. 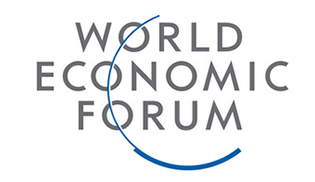 Considering that during last years the low efficacy of the Organization within economic and environmental track has been a matter of concern, Kazakhstan intends to put all efforts urgent to adjust the balance between the three “baskets” and to intensify its work on economic-ecologic dimension. In addition the conditions of the prolonged economic crisis attract extra attention to this problem. First of all we want to activate the dialogue on transit-transport interaction (Eurasian continental transit and transport corridors). On October 12th-13th Astana welcomed the First Preparatory Conference to the 18th OSCE Economic and Environmental Forum. Its subject: “Promotion of Competent Management of Border-Crossing Points, Enhancement of Security of Land Transportation and Relaxation of International Automobile and Railway Transport within OSCE Region”. The priority of Kazakhstan on enhancement of Eurasian transport potential aims at solution of the issues of improvement of legislative basis within the sphere of international road transport; relaxation of customs and border rules and procedures; solution of practical issues of the countries which don’t possess an access to sea; promotion of state-business partnership within the sphere of international road transportation, etc. I’m pleased to report that Minsk will be the city to hold the 2nd Preparatory Conference of the EEF. Considering the extreme importance of transportation issue for Kazakhstan and states of Central Asia region within the framework of the Economic and Environmental Forum, and the intention of the Republic of Lithuania, the OSCE Chair in 2011, to maintain the subject of the development of transport-transit potential within OSCE area , it is planned to appoint the representative of Lithuania V. Nauduzas as a CiO Representative on Transportation. Using its advanced cooperation with the EU states within the sphere of transportation, as an acting OSCE President Kazakhstan will support the idea of the development of integrated partnership between Kazakhstan, the EU and OSCE within the framework of the State Program of the Republic of Kazakhstan “The Way to Europe”. My colleague will dwell on this program in detail in the second part of our Conference. In OSCE Kazakhstan will lead active policy, aimed at promotion of international cooperation on prevention and responding on the consequences of ecologic disasters of regional and global scale. The main subject of the Presidency of the Republic of Kazakhstan within ecologic direction is the establishment of mechanisms of monitoring and preventive responding on environmental threats on the example of the Aral Sea disaster as a model of regional security threat. Starting from 2009 Kazakhstan has been chairing the International Foundation for Saving of Aral Sea (IFAS) and plans to intensify its activity. The agenda includes the issues of IFAS Summit holding, granting it’s a status of UNO institution, strengthening of constitutional bodies. The efforts in this sphere will also be directed on the promotion of the initiative on the establishment of mechanisms of monitoring and preventive response on environmental threats within OSCE area. Considering that the developing cooperation of the region with the European Union within the sphere of environment protection, joint accomplishment of mutually beneficial projects, S.Stevenson, a member of the European Parliament from Great Britain, will be appointed as a CiO Representative on Environmental Issues. His activity will also engage with the promotion of the interests of the region within European institutions. In the context of the oncoming Chairmanship, Kazakhstan at the moment works over the issue of holding in 2010 together with UNO European Economic Commission and UNO Regional Center on Preventive Diplomacy for Central Asia an international endowment Conference on Aral. Realizing the importance of energy security assurance within OSCE area, as an integral part of an overwhelming security concept, Kazakhstan gradually supports the promotion of thesis on diversification of energy supplies within OSCE area, which contributes into the energy security guarantee to the Organization member-states at most. The variety of energy export ways corresponds economic interests of Kazakhstan. We know that OSCE shouldn’t be involved into practical aspects of the accomplishment of the member-states’ energy policies. However, we are sure that OSCE is able to become an arena for political dialogue. We plan to proceed consultations with states interested in the search of place and value added of OSCE within the issues of energy security from the point of view of good political will demonstration by the states. I would like to inform that Kazakhstan is also interested in the promotion of Belarusian initiatives on maintenance of the activity within the sphere assurance of security of the most significant projects of energy infrastructure. The key direction of the work of Kazakhstan in human dimension will be the promotion of tolerance and intercultural dialogue within the area of OSCE responsibility. Assurance of tolerance, development of interreligious dialogue and peaceful co-existence of ethnic groups – these are the dominating issues of the process of global security preservation. In this respect Kazakhstan with its unique experience of interethnic consent enhancement and inter-confessional dialogue development will concentrate close attention on the activity of the institutions, responsible for the accomplishment of objectives of OSCE humanitarian dimension. The main measure on the accomplishment of the given priority will be the OSCE Summit on Tolerance and Non-Discrimination planned in Astana on 29th-30th of June of 2010. The significance of this event is proved by the Ministerial Decision on this Conference arrangement adopted on the 2nd of December during MCM in Athens. Kazakhstan initiated the Conference in order to review the measures of struggle against existing forms of intolerance and discrimination, and also the promotion of respect and mutual understanding. At the moment, we are engaged with the active development of the agenda and other arrangement modalities of the Conference. It is supposed that the three CiO Representatives on Tolerance (the mandate of which we intend to prolong) will play a significant part in this work. The additional measure by the accomplishment of the given priority will the Seminar of OSCE on the issues of “Intolerance Towards Migrants During Financial Crisis”. Also, in the course of the cooperation between the OSCE High Commissioner on National Minorities – the institute, traditionally supporting the leadership of our country within the sphere of tolerance and intercultural dialogue, Kazakhstan plans to devote one of extra meetings on OSCE humanitarian dimension to the subject of “Integration of National Minorities Via Education”. Individual priority will be given to the human traffic struggle with concentration on children trafficking of global scale. Kazakhstan observes its task as a promotion of the development of cooperation between OSCE member-states within the sphere of prevention, suppression and overcoming of the consequences of human trafficking, i.e. 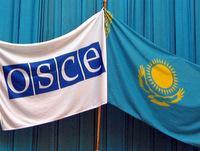 within the implementation of the OSCE Plan of Actions on Human Traffic Struggle adopted in 2003. Within this objective Kazakhstan intends to devote one of the extra Conferences on humanitarian dimension of OSCE to the subject of “Struggle Against Human Trafficking with Special Attention to Children Trafficking”, or to arrange an independent Conference on this subject. The priority of gender equality is considered within the interrelation with security assurance, flourishing and standing democracy within OSCE area. Kazakhstan proves the firmness of its policy, directed on the achievement of full gender equality and overcoming of remaining discrimination towards women, and considers as urgent to observe gender problem as one of the most significant conditions of overwhelming security within the area of OSCE responsibility. In this respect Kazakhstan plans to devote one of extra Conferences within humanitarian dimension of OSCE to the issue of “Promotion of Gender Balance and Participation of Women within Political and Social Life”. In general, Kazakhstan as a Chair-in-Office will direct its efforts on the development of democratic institutions, human rights protection, promotion of the rule of law and proceeding with elections issues. In this respect, Kazakhstan together with ODIHR/OSCE and Denmark plans to hold a Conference devoted to the 20-s anniversary of Copenhagen document adoption in 1990. Another significant measure in this direction can be the arrangement in 2010 of the Seminar on Elections in particular on E-voting. In general, I would like to assure you that as the OSCE President Kazakhstan will do its utmost for further promotion of confidence- and security-building measures within Euro-Atlantic and Eurasian regions and is ready to discuss with partners within the context of our common Organization any suggestions, directed on the assurance of stable and secure area for the sake of our states and peoples. We are interested for OSCE to be strong, powerful and effective Organization that is able to respond on modern challenges and threats and in which the principle of equal rights dominates.